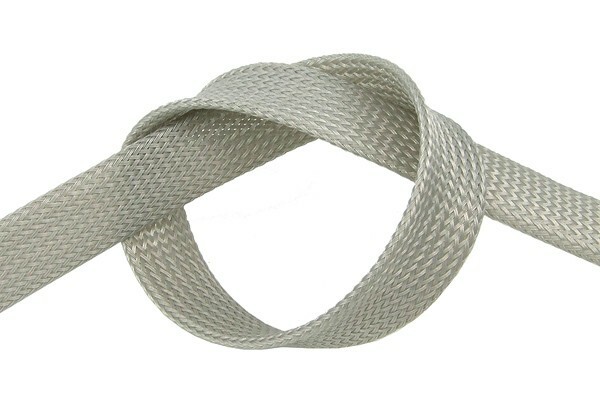 Sleeving: Not only great for the appearance of the PC, even safety and cooling profit greatly! The appearance in the case becomes more an more important. With these Flex sleeves cables are no longer obstructing Airflow and appearance of the case, they become pure eye candy and improve Airflow! Some manufacturers already ship their cables already sleeved but often use low-grade sleeve and many different designs which makes it almost impossible to find a uniform design. We therefore offer a vast variety of colours and sizes to allow sleeving in a uniform design to greatly approve the looks of your system! All are also UV reactive (except the black sleeve) and therefore allow incredible lighting effects inside of the case. But sleeving does not ''only'' mean improved appearance, it also contributes to the safety of the system. When sleeved connectors are secured additionally and the leads are also protected from wear and kinking which may lead to breaks and shorts. Improved cooling performance is another advantage of a system with sleeved cables. The direction of Airflow is determined by the case manufacturer to achieve the optimal flow of air. But when the hardware is installed and connected with cables the flow is often interrupted or redirected which reduces the cooling performance of the system. When the cables are sleeved and therefore bundled the flow resistance of the cables is greatly reduced which increases Airflow and therefore cooling performance. And when sleeved it is also much easier to shorten longer cables which are not required as the point of reconnection is not visible through the sleeving, greatly improving the appearance in the system. For every item ordered 1 meter of sleeving is shipped.